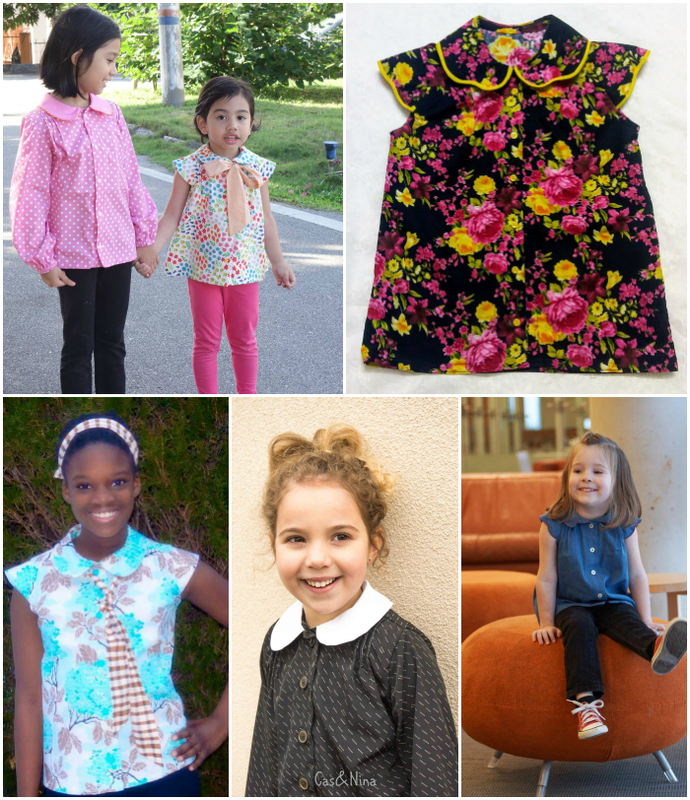 The Nina blouse is in the shop and on sale for only $6.50 through Thursday, February 15th. I made the first prototype (see it here) of the pattern last fall. 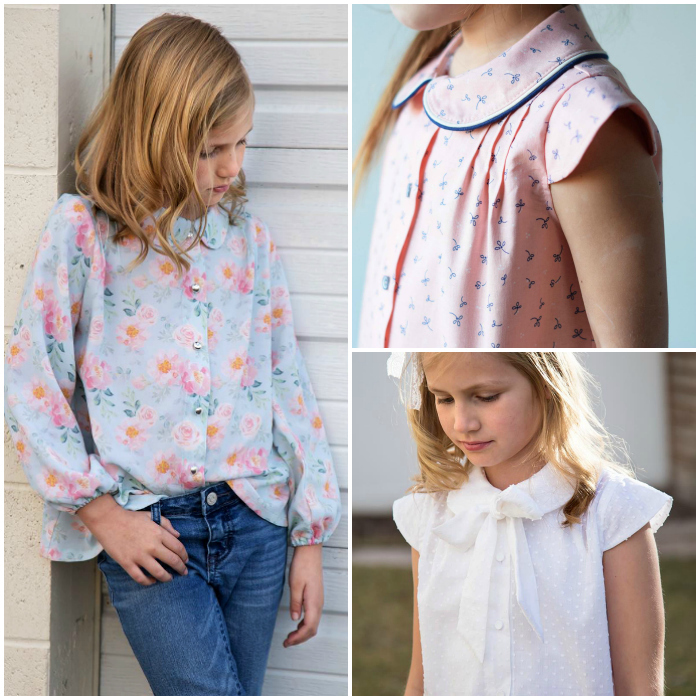 I wasn't sure if I wanted to grade it to multiple sizes and offer it for sale, but as Ania kept choosing to wear it, I fell more and more in love with the sweet details of the blouse. It is all done now and I am excited to share all the tester versions with you today. All the ladies blew me away with their beautiful work! Before I share the photos, let's talk about what you get when you purchase the Nina blouse. 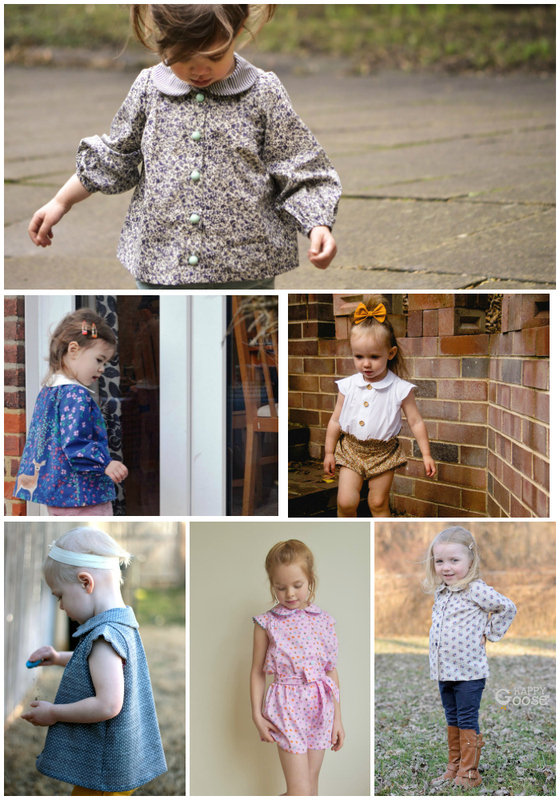 The pattern comes in sizes 12 month through 12 years. You will receive three files with the pattern pieces to choose from - a file for printing at home, 36 inch wide and A0 file for shop printing. 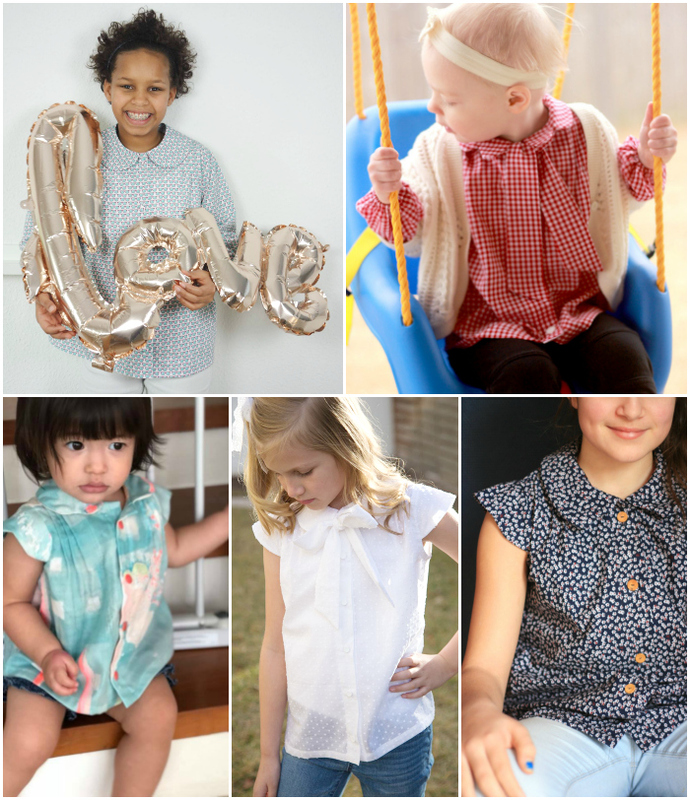 The pattern pieces have notches and all other necessary markings in place to ensure a pleasant and effortless sewing experience. 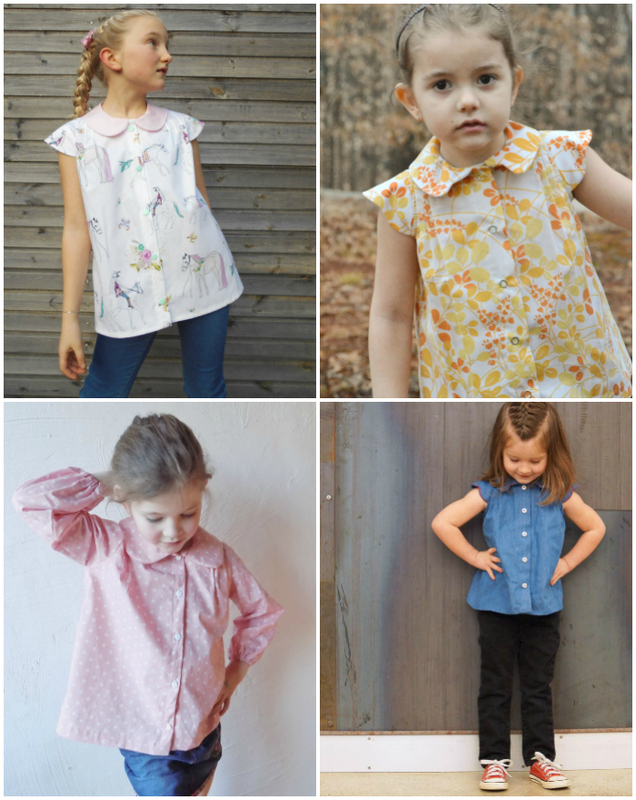 There are two collars and three sleeves to choose from. Mix and match to create truly unique looks. 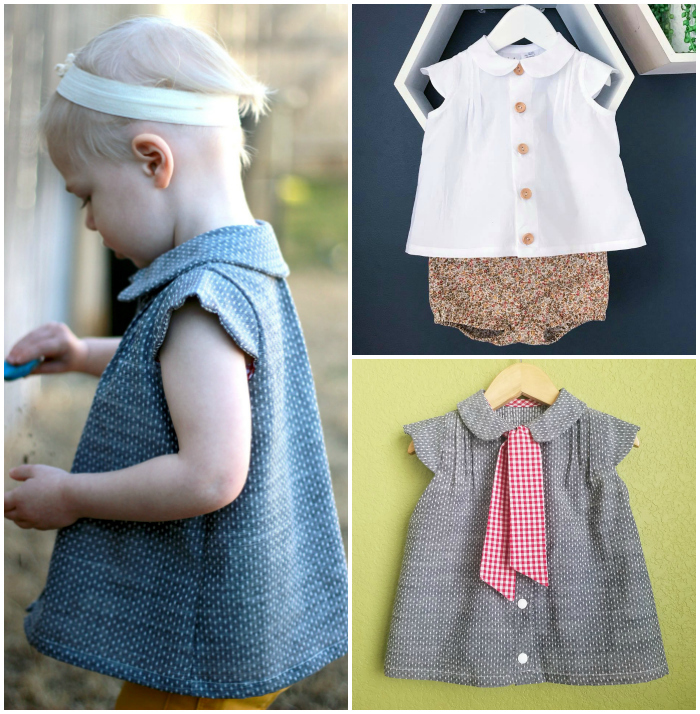 The instructions are detailed with sewing tips for best results. The sewing techniques used result in clean finishes. 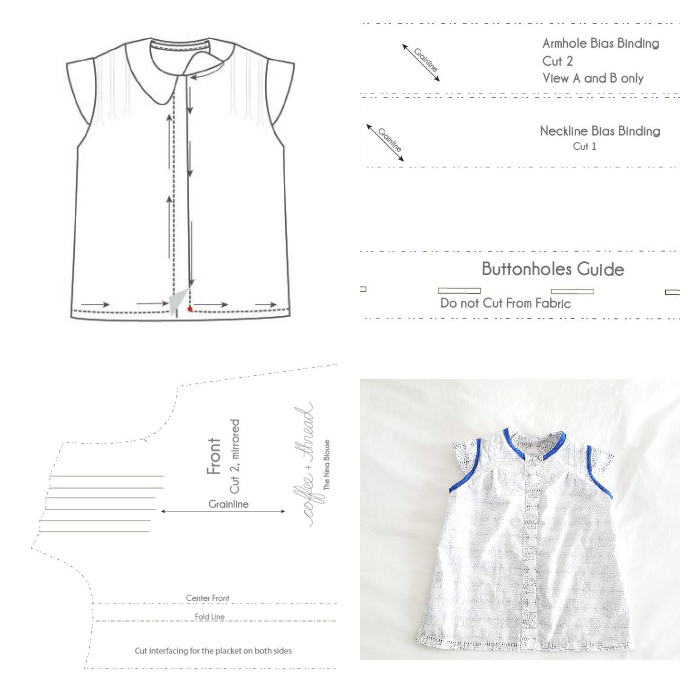 The armhole (in cap sleeves options) and the neckline are finished with bias binding. 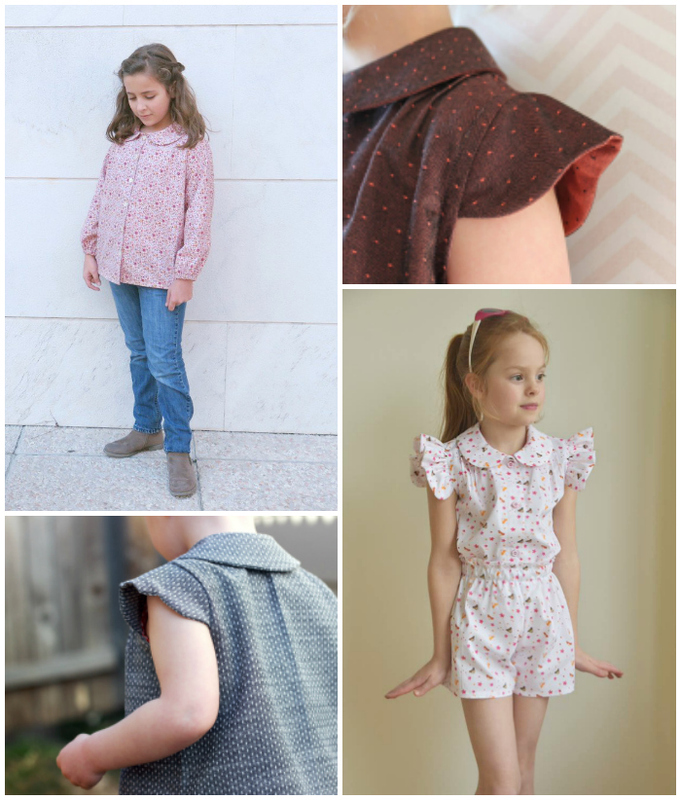 Finish the shoulder and side seams with French seams and the blouse won't have any visible seams! During the testing everybody worked super hard to guarantee the pattern was great for the release. Everybody did an outstanding job! I always feel like I get total rock stars for testing and this time was not an exception! I loved working with every one of the testers! Thank you so much ladies! I am very grateful for all your hard work! 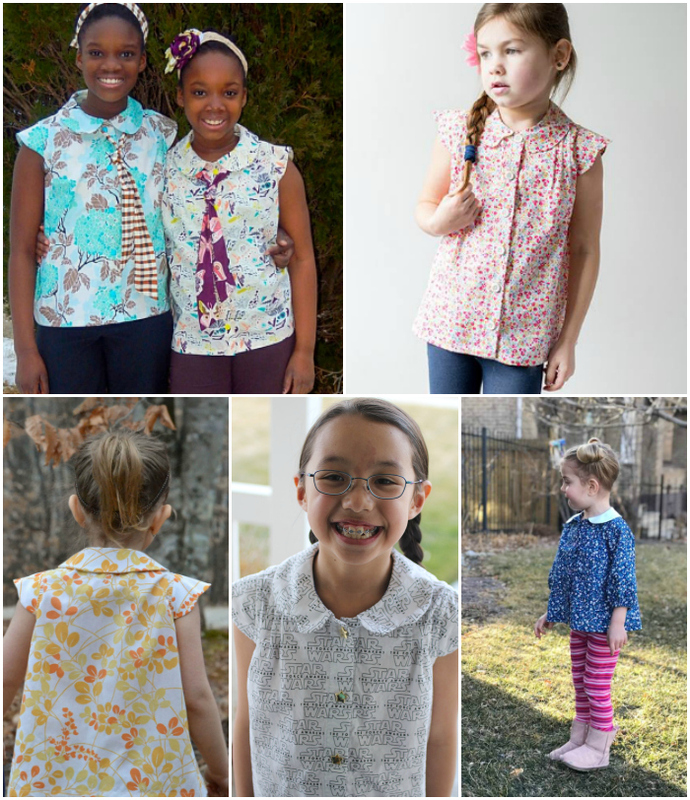 I love that the Nina blouse looks equally great on babies and preteens! Please visit and follow all these ladies on social media, you won't' regret it! 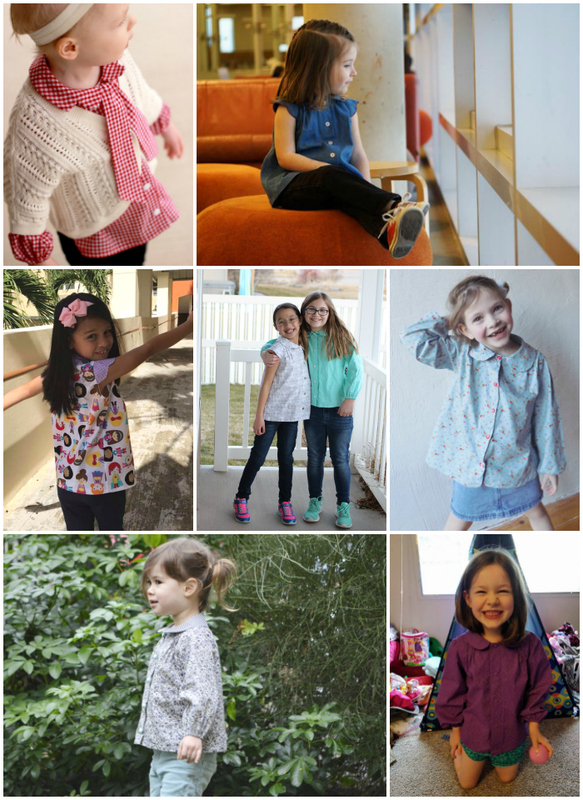 Their sewing is inspiring! 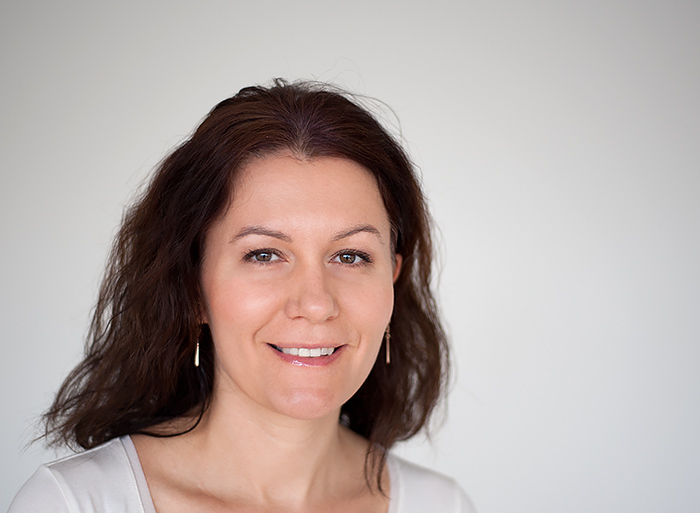 Olga, thank you so much for allowing the girls and I test this pattern. This is a beautiful garment and the finish results are nothing less than stellar. The caliber of the testers was inspiring and make me feel honoured to have been allowed a seat at the table. 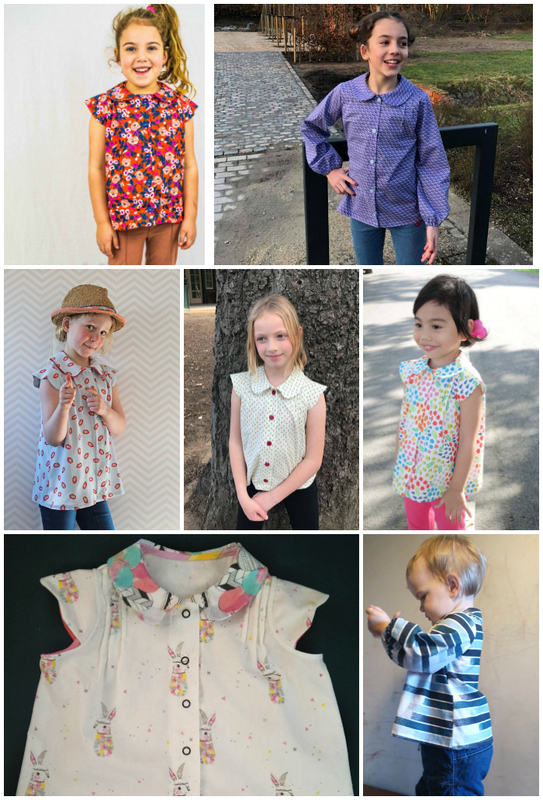 It's great to see all the different blouses! One pattern, so many styles. Congratulations with your Nina release!